Safes are heavy and require the proper equipment and expertise when moving them to prevent injury and damage. Many of the repairs we do are the result of improper safe moving. In most cases a standard moving company is not equipped to move your safe in the proper manner. The Knoxville Safe House is an experienced safe moving company in East Tennessee and surrounding area. With over 20 year’s experience we have the know-how and equipment to move your safe successfully, Gun Safe moving is one of our specialties. Prompt service to The East Tennessee and Surrounding areas. Please contact us for a free estimate, we would be happy to answer any questions or concerns you might have. 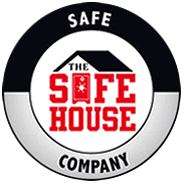 The Safe House is a full service safe company and are experts in the safe repair and maintenance of safes and security equipment. Should you experience any problem with your current equipment, we can assist you. Please contact us for an estimate. Safes Installation – We can receive your new or used safe from any supplier and deliver and install your safe at its new location in your home or office. Safe Rentals – Participating in a trade show or off site meeting? Your insurance company may require that you have a safe on the premises. We have a large selection of safes available for immediate rental and delivery to your venue.